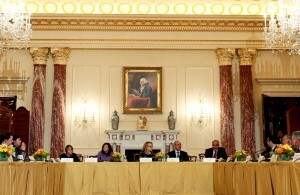 On September 25, 2012, the League of Arab States Secretary General Nabil Elaraby and then Secretary of State Hillary Clinton signed a Memorandum of Understanding (MoU) to deepen dialogue and cooperation on matters of mutual interests. 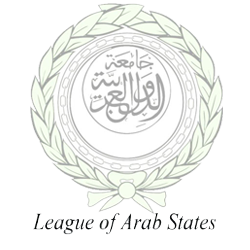 The MoU outlined a plan for a regular high-level dialogue between the Secretary of State and the League of Arab States Secretary General. It also established a framework for future cooperation on issue-specific dialogues that address areas such as economic, humanitarian, and educational cooperation.